There are so many ways to put together a life of success and significance at the University of Pittsburgh. 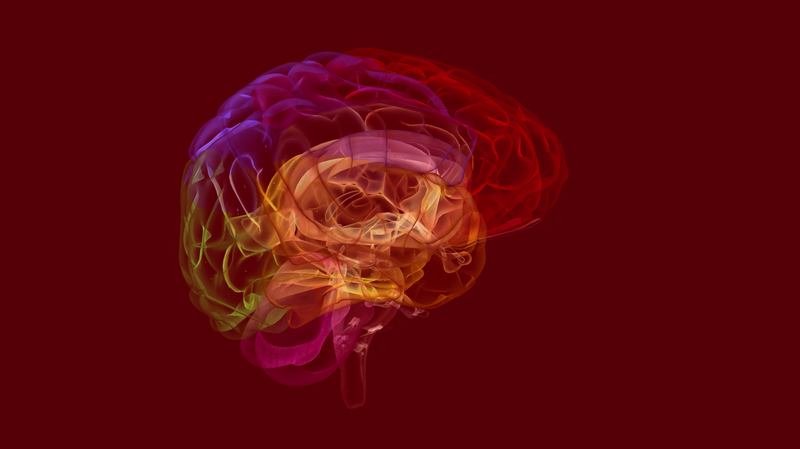 See what happens when your talents and ambitions converge with everything we know and offer. We’re consistently ranked among the top 100 research universities in the world and among the top public universities for federal research funding. Think of any big issue or challenge, and Pitt is making a difference (if we haven’t already solved it). Pitt faculty and alumni have won the Nobel Prize (in Peace and Medicine), the Pulitzer, the Academy Award, the MacArthur “Genius” Grant, the National Medal of Science, the Super Bowl, and more. Pitt has one of the lowest student-to-faculty ratios among major research universities and one of the biggest commitments to undergraduate research and teaching. You’re never very far from very big thinking. See Pitt faculty in action. Pitt students are impressive in their own right. They’ve earned a record number of national and international awards for undergraduates: 7 Rhodes, 9 Marshall, 56 Goldwater, 12 Truman, 9 Udall scholarships; 18 Humanity in Action fellowships; as well as a Gates Cambridge scholarship. The eradication of polio throughout most of the world started with a breakthrough in the Pitt lab of Dr. Jonas Salk and his research team. When the vaccine’s success was announced on April 12, 1955, Salk was hailed as a miracle worker and American hero. Christel Temple is an Associate Professor of Africana Studies. Take one of her classes and you are going to benefit from the full force of her many specialties: literature, theatre, mythology, and literary theory and criticism. All used to explore the stories and perspectives of Africans, African Americans, and members of the Diaspora. Pitt is the lead institution for the National Science Foundation’s CHREC consortium, which develops computers that can function in space. 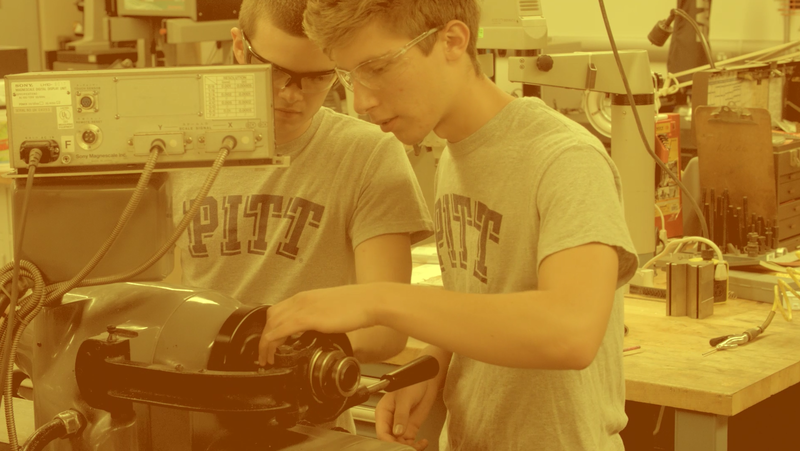 Pitt undergraduate students got to contribute to a major CHREC project – preparing the next iteration of the group’s space processor for the International Space Station. Few universities equal Pitt’s ability to connect what you learn in your studies to real-world, resume-building experiences—starting in your first year. If your professional goals have always been crystal clear, our Pitt Freshman Guarantee offers exceptionally talented students the ability to lock in admission at one of our top-ranked graduate and professional programs: business, communication science, dental medicine, education, engineering, health information systems, information sciences, law, medicine, nursing, nutrition and dietetics, occupational therapy, pharmacy, physician assistant, physical therapy, public health, public and international affairs, social work. All our majors are designed to open up possibilities rather than push you down narrow paths. Majors also include opportunities to take what you learn in the classroom and put it to work in a practicum, internship, co-op, clinical work, or research project. That’s our promise if you enroll in our Internship Preparation Program. In workshops and individual coaching, we’ll show you how to connect with employers with a compelling resume and interview. Then we’ll help you identify internships that match your aspirations, and seal the deal. Grow as a leader, communicator, and citizen with this one-of-a-kind leadership and service program. Complete a course and you’ll gain an OCC certificate that becomes part of your college transcript. 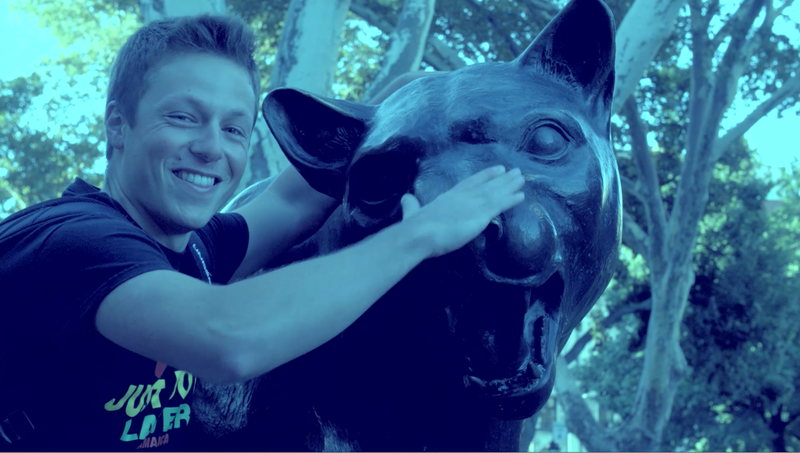 That’s one example of a Pitt study abroad program. Our students have also explored Romanian culture and music in Eastern Europe, and ethnography in the Himalayas. Investigate almost any topic, in any country in the world. We’re an amazing value compared with peer institutions―we put so much within reach, and in so many ways that feel truly individualized. Our Career Center is committed to supporting your success. We guarantee career coaching for every student. That’s the percentage of Pitt classes with fewer than 30 students. So you can’t hide. And you won’t want to. Pitt students received more than $54 million in need-based financial aid and more than $84 million in merit-based scholarships and grants. Recruited University of Pittsburgh students for employment in 2017 through Handshake job postings, career fairs, networking events, and on-campus interviews. Pitt has been ranked the top value in Pennsylvania 13 consecutive times in The Kiplinger 100: Best Values in Public Colleges. At graduation, you’ll join a worldwide network of more than 323,800+ Pitt alumni. That means a lifetime of opportunities for connections and collaborations. With a booming economy fueled by intellectual capital, Pittsburgh is a globally renowned success story. It’s also affordable, easy to navigate, and home to major corporate and nonprofit organizations that love to bring Pitt students on board. Pittsburgh has been named a top city for creative 20-somethings, one of the ten best places to pursue the American dream, a best city for young entrepreneurs, and “unexpectedly romantic.” BuzzFeed called Pittsburgh “a pretty awesome spot to hang out.” We’re proud to call it home. One is your ticket to free public transportation and discounts at local merchants. The other is your source for discounted tickets to Pittsburgh’s ever-expanding arts scene. It’s Our Homefield Advantage, Too. 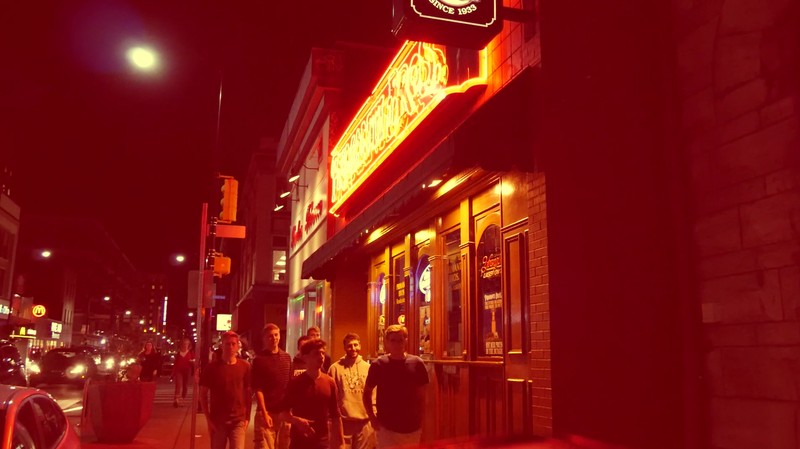 Our Pittsburgh Panthers play at Heinz Field and share a practice facility with the Steelers at the UPMC Sports Performance Complex, one of the leading sports medicine centers in the U.S.
Two campus eateries made “50 Best Late Night College Eats”: The Original Hot Dog Shop and Fat Heads. The mother of all sandwiches, however, is found at Primanti Brothers’—stuffed with French fries, it’s a Pittsburgh institution. You’re right, that would make a great band name, but it’s an actual thing: a former railway bridge across the Monongahela River that’s now the domain of cyclists, pedestrians, and anyone seeking a picturesque selfie. It’s the gateway to Pittsburgh’s South Side. 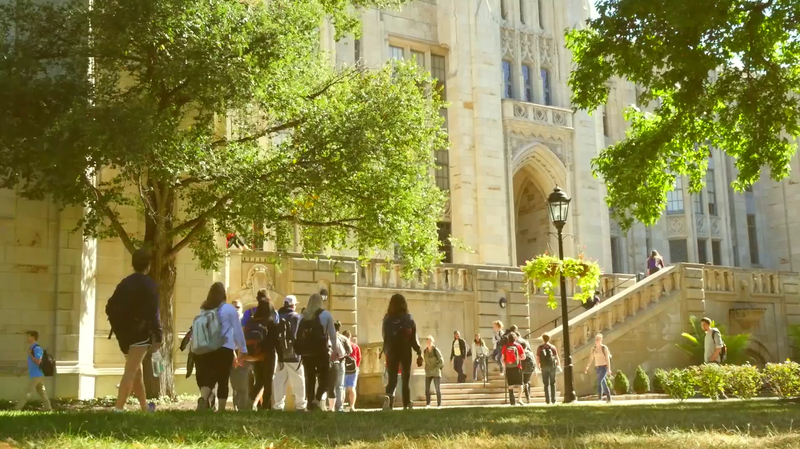 H2P is shorthand for Hail to Pitt—our beloved fight song. But it’s also an expression of how Pitt students feel about everything: the friends you make here, the great minds you encounter here, the study sessions in our gorgeously gothic Cathedral of Learning. Our campus is the always buzzing Oakland neighborhood, also known as the home to “eds and meds” and the address of gorgeous Schenley Park. So it’s easy to understand why 98 percent of first year students live on campus. While we’re good at thinking big and acting on a global scale, we’re also a tight-knit community with a shared, rock-solid work ethic and strong sense of responsibility for each other. 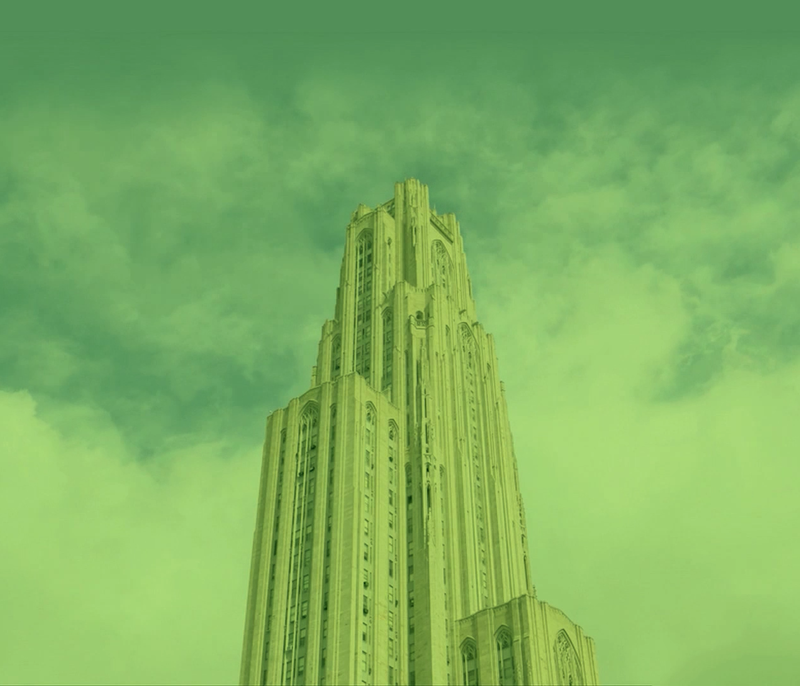 For Pitt students, the Cathedral of Learning (“Cathy”) is the object of intense and longstanding affection. Outside, it’s the tallest education building in the Americas. Inside, it’s like being in Hogwarts (if Hogwarts had Wi-Fi) and is everyone’s favorite place to study. The Pitt Honors is one of only a handful of universities in the United States to offer the prestigious Bachelor of Philosophy degree. The Petersen Events Center is home to our men’s and women’s basketball teams, as well as the legendary student cheering section, the Oakland Zoo. It’s also home to the student recreation and fitness center, and a favorite venue for big name music and entertainment. That’s the percentage of freshmen who return for their sophomore year—an important measure of student satisfaction.